Following the success of the January 25, 2011 revolution, Egypt witnessed a great wave of civic activism. 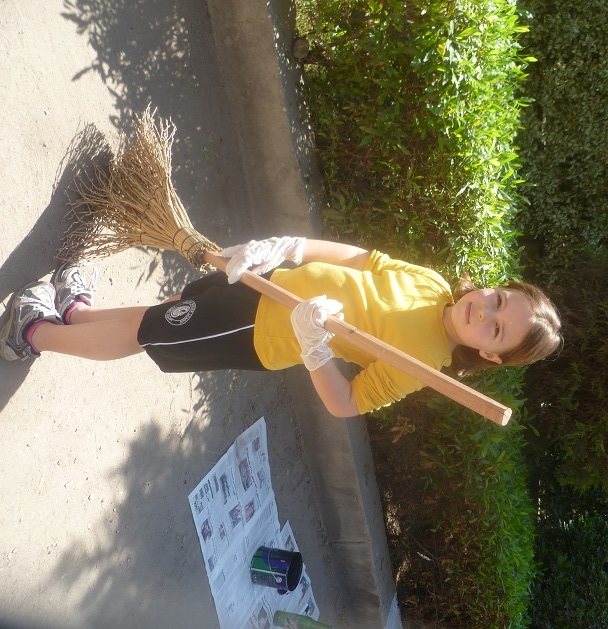 One of the most popular manifestations was in campaigns to clean the city streets, often accompanied by vibrant artwork and pro-Egypt graffiti. But as the enthusiasm waned and the political situation became more and more polarized, citizens went back to their lives as normal. Worse, the official public services of police and trash collection broke down as main streets were transformed into garbage dumps. Every now and again a faithful public servant or enterprising resident might try to clean things up, but it was a losing battle nationwide. 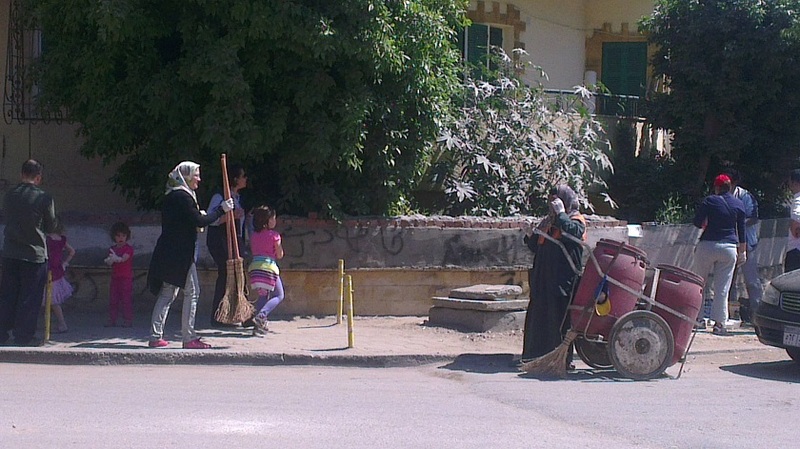 So it is with encouragement we joined a group of Maadi ladies on a local clean-up campaign they advertised on Facebook. Among many Egyptians the mood is brighter following the removal of President Morsi and his Muslim Brotherhood, and the anticipated presidency of army general Abdel Fattah al-Sisi. Others, of course, are horrified at the turn the nation has taken, due either to their approval of the Islamist agenda or their advocacy of liberal principles violated in the crackdown against it. But for a great number, after the chaos and disintegration of the past three years, they just want things to go back to normal. With this hope dawning, the spark of civic activism returned. But only a spark. The Facebook page yielded a few volunteers, but did animate the local municipality. 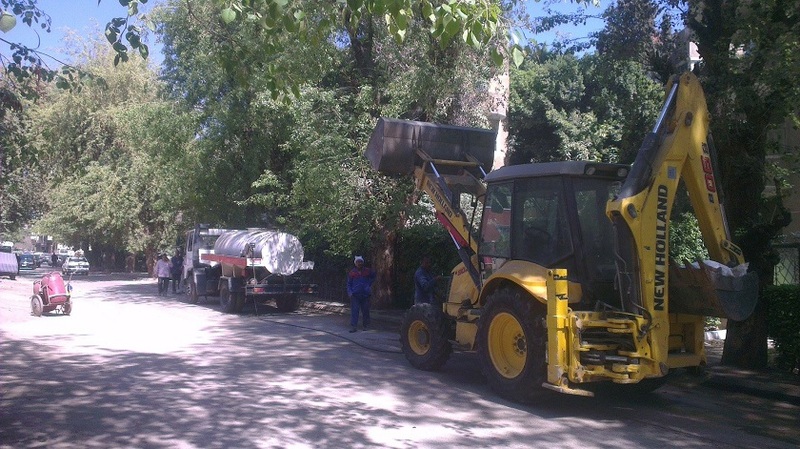 The mayor made a public appearance and authorized the use of heavy equipment to remove built-up dust and trash along street curbs in our few block section of the neighborhood. 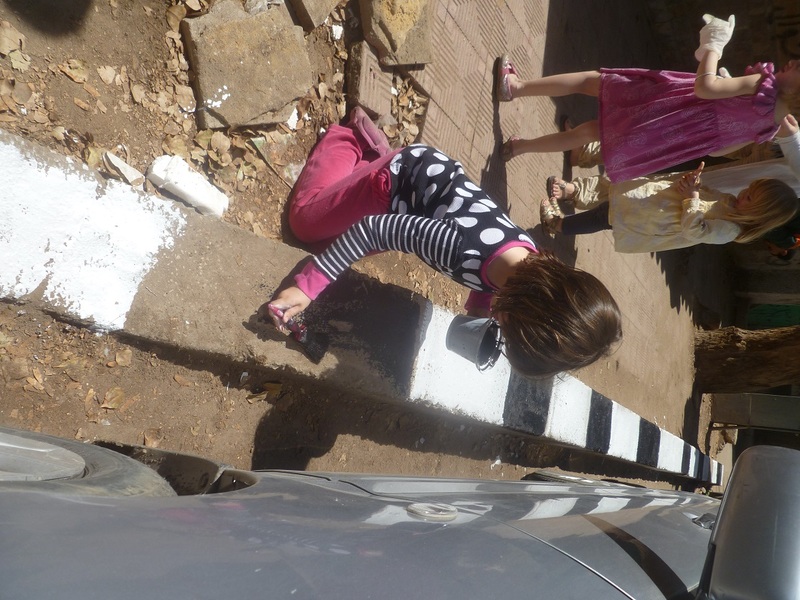 At least for these past few days, since March 22, the spark of the ladies’ initiative has resulted in the sparkle of a clean community. But that sparkle may only be in our eyes who now wish to see things more beautiful than they were. Likely, things will go back to normal once again, though there is hope that police and trash collectors are now providing more faithful service. But the normal was never beautiful in and of itself; if there was beauty it was because neighbors had a stake in the uniqueness of the Maadi area. Trash is still thrown on the street, and worse, building code violations continue as highrises impinge upon the villas and family apartments mixed in with tree-lined sidewalks. 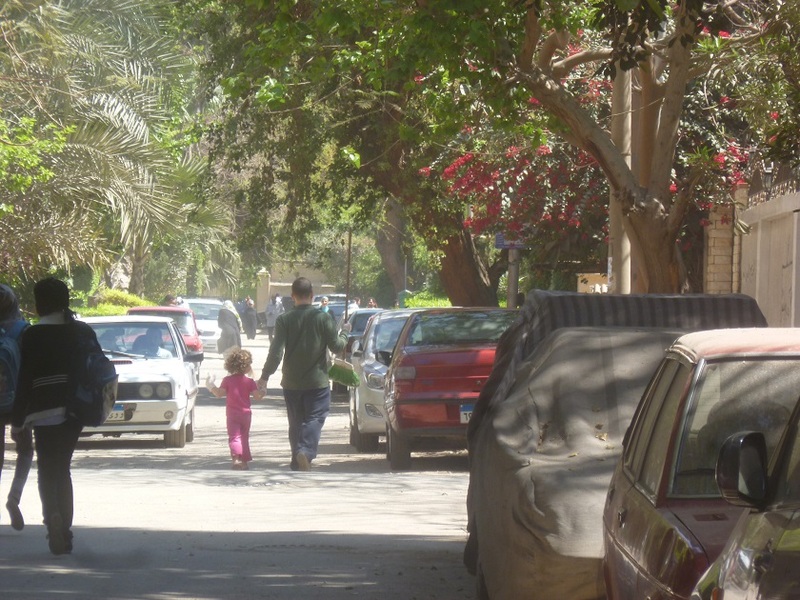 Maadi benefits from its upper-class standing, so few real complaints can be issued when poorer sectors push against the posh. But whether upper or lower class, the beauty of a neighborhood is in the eyes of its residents, and how they collectively view and tend to their immediate area. 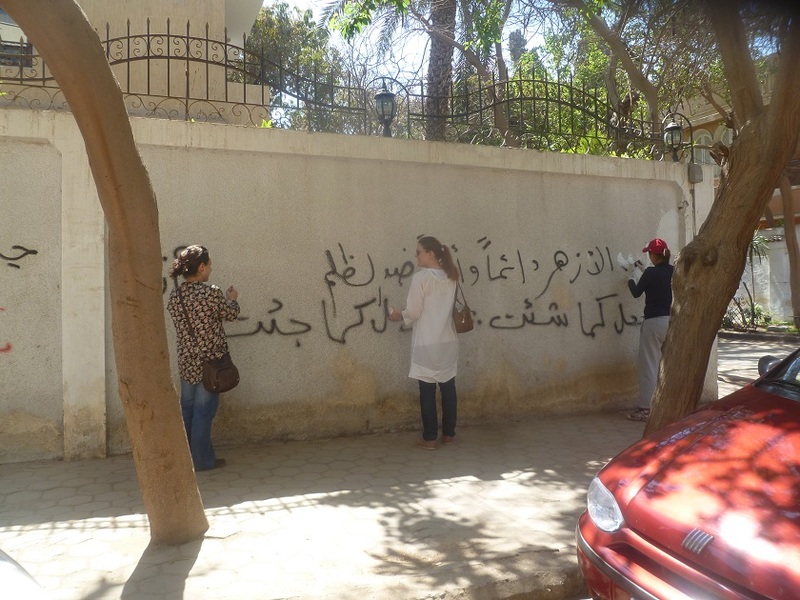 The ladies of Maadi were encouraged by their opening salvo; there is talk of continuing the practice once a month. 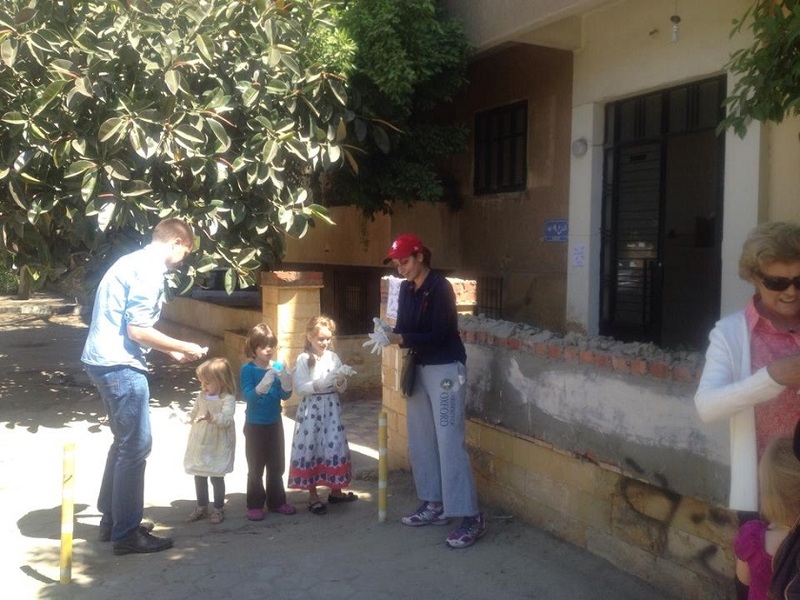 Yalla Maadi, let’s have more join in next time. God knows where the revolution will take Egypt next, but ownership of the streets never rests with a political power beyond the imagination, or apathy, of those who walk them. It just depends on initiative. Here are a few pictures to honor those who got us moving. Please click here to like the Yalla Maadi Facebook page, and for fellow locals, get notification for future events. Hope to see you there.